Although, drones are the latest development in aerial photography, this method of taking pictures from new heights has been around for hundreds of years. The history of aerial photography is fascinating. 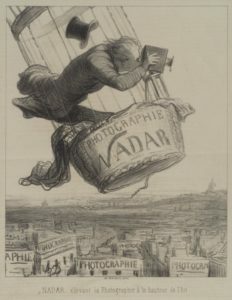 The first successful aerial photograph is credited to Gaspar Félix Tournachon, more commonly known as “Nadar”. It was taken in 1858 from a hot air balloon tethered 262 feet over Petit-Bicêtre (now Petit-Clamart), just outside Paris. Now we have access from airplanes, helicopters, satellites, and even unmanned flying cameras that can take pictures in almost any place. The technology has come so far. As far as drones have come in the past couple of years, they still have their limitations. Drones are limited to 400 feet above ground without getting special permissions. For some applications this might be acceptable, but for others, freedom of the helicopter at unlimited heights is needed. Drones are also limited in low-light settings. Although, advancements are being made, the technology is simply not there. And other features of the cameras are limited to those available in the drone world. Aerial photography in a helicopter gives the photographer to use the best camera for the best shots. Drone photographers must split their attention between flying and shooting. Aerial photographer Dave leaves the flying to experts, so he can do what he does best. Photography. Oblique aerial photography, our most popular, is shooting from an angle of approximately 40 degrees, from all sides. This gives you an artistic view and will display the best features to the viewer. Show off the location of your property in a way not possible from the ground. If you are constructing buildings or developing real estate, we will take regularly scheduled photo survey’s of your project to document the progress being made. In this way, you can see exactly what has been done. 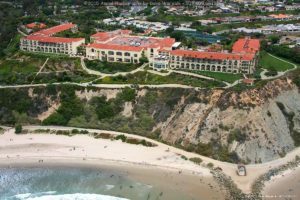 We also provide vertical aerial photography, which allow for detailed planning, and provide a “map like” view. 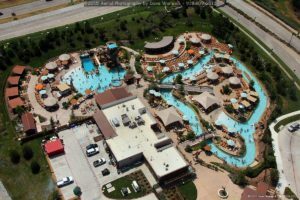 View more examples of our work on previous works page, or see the About Us page to learn more about the photographers behind Tulsa Aerial Photography.